– What does it mean to you/your organization, being an EDSA member and what should EDSA focus on in the future? These two questions were answered by some of EDSA board members. 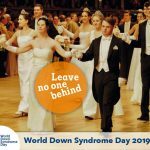 NNDS – the Norwegian Down syndrome organization – has been a member of EDSA for many years. For the last years, we also have had a representative on the board of directors. 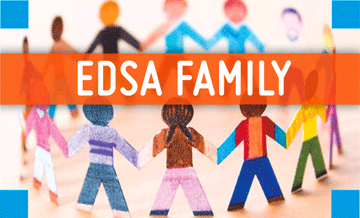 What does it mean to you/your organization, being an EDSA member? For NNDS, and thereby for all our members all over Norway, our membership is essential in following what is happening on the DS front in Europe, and indeed in the rest of the world. By communicating, and not least, meeting representatives from other member organizations we are able to associate and make new important contacts. We get knowledge and experiences from other countries that is of great value to our members and us. What should EDSA focus on in the future? We hope that EDSA will get bigger and stronger, and that the EU bureaucracy and its politicians will see the great need and importance of this organization, and support it to a much larger extent than what is the case today. We take this opportunity to congratulate EDSA with its 30 years anniversary. Down España is a federation of more than 90 spanish down associations. We strongly believe in the power of the networks: if you want to go fast, go alone. If you want to go far, go together. 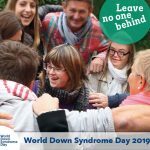 So being part of EDSA is very important for us as we can share knowledge all across Europe, learn from other countries and organizations, and improve the life of european Down syndrome people and their families. EDSA should focus on lobying at the European level and develop european projects in coherence with the Convention on the Rights of Persons with Disabilities. To interchange our experiences with other associations and countries. To hope to change together the image of the people with DS in Europe and give them a better future. To be stronger in front of the institutions.